ISLAMABAD: The federal government has decided to immediately send a fleet of government cars for auction owing to Prime Minister Imran Khan’s austerity policy. Sources mentioned that the government has collectively sent 33 vehicles out on auction advertisement to reduce public expenditure from government’s end. The elite auction is carrying eight luxury BMW cars and four recent models of Mercedes Benz vehicles in its ad, including 16 Toyota Corolla, three Suzuki and one HTV vehicle. The sources added that the remaining cars have been spared under control of the Cabinet for welcoming foreign guests. In the wake of Imran’s austerity drive, he is already facing criticism for using a helicopter to commute to work daily, from his residence in Bani Gala to the prime minister's Secretariat. Taking to rescue, PTI parliamentarian Ali Muhammad Khan listed the benefits of using the helicopter. 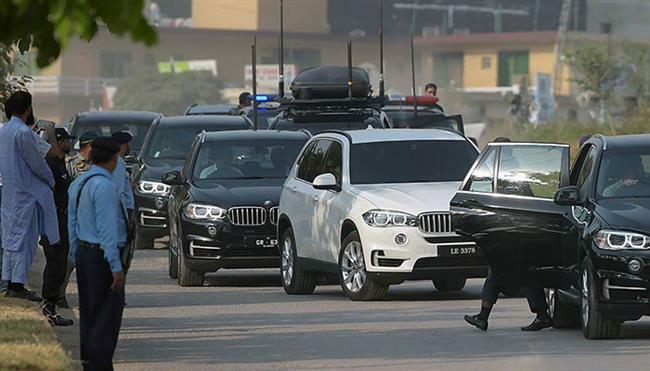 He pointed out that using one helicopter for three minutes ends up being cheaper than taking out five to seven vehicles that go required for the PM's on-road security. The national austerity programme also aimed to shrink routine of official servants.